Spend the time to plan your project carefully. Tamlin Homes provides a high-level of customer support thoughout the planning and building process. Here are some practical things to think about. Your consultation with Tamlin will cover details that are more specific to your unique home build. Be sure to research site conditions, building restrictions, bylaws, lot setbacks, etc. We can help make sure you cover all the details. Arrange for a site visit to provide a professional assessment of your building position, access, services (water, power), ease of construction, potential problems, etc. Decide if you have the time and resources to build yourself or need our help to build. Again, we can help you determine whether building it yourself might be a good fit for you. Create a “wish list” of ideas including both function and design. We have a reputable in-house design team to help make your wish list a reality. Create a reasonable time frame for building and make a workable schedule. You will enjoy the process more if you’ve planned realistically. Proper planning saves time and money. In many cases, clients spend a huge amount of time and resources to design their dream home only to find out it is too expensive to build. Seek a professional opinion to ballpark your project first. Decide if you have the time and resources to general contract yourself, or if you need a builder or project manager to help you through the process. Since you are investing a significant amount of money in your house, seek out the right professionals to help you through the process. These include an architect/designer, builder/sub-trades, interior designer or a company like Tamlin who can customize the right mix of professionals for your project. Custom design your house to your needs since you usually get one try to get it right. Don’t be afraid to hire a professional who can provide the right level of design support for your project, (depending on the complexity of your project, a registered architect may be the best choice, but don’t underestimate the value of an experienced designer who is familiar with Timber Frame). Get a second opinion on your chosen location for your building which may require a site visit. There are many items to consider such as access, view/elevations, position (north, south, east, west), services (septic/sewer, water/well, hydro, gas), soil conditions and drainage. Talk to your “local” neighbours and sub-trades to understand more about your location and potential building issues such as easements or new bylaws. Spend the time to ballpark your overall building costs and decide on a budget range that you will be comfortable with. The budget may come in handy later if financing is required. 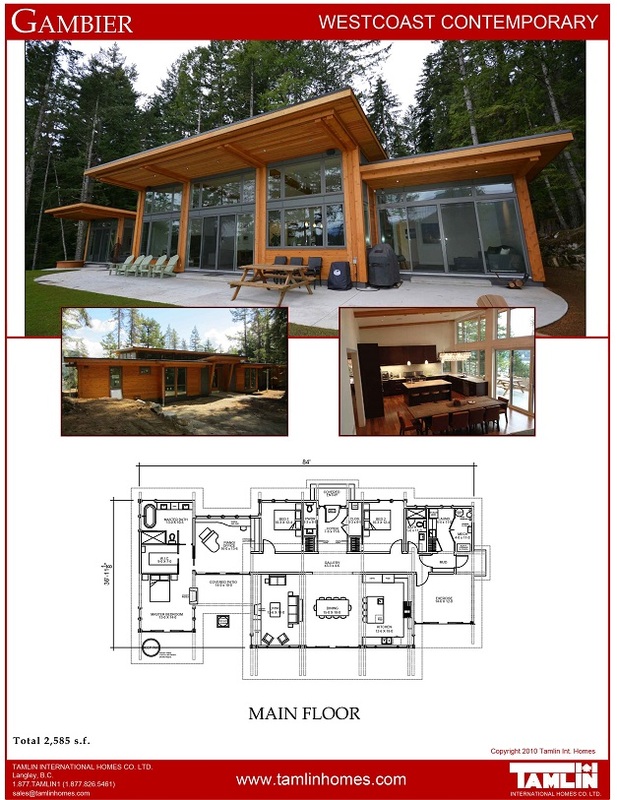 Refine your house design, materials specifications, budget, overall site plan and building schedule. Don’t underestimate the time line and resources (your time) required for building. We often spend 6 months to a year in the planning stage prior to construction of a Custom Timber Frame house. Try to incorporate the latest in proven technology which will help our environment and reduce your operating costs and maintenance. This includes geothermal/renewable energy, energy efficient building materials, eco-friendly insulation, recycled products and healthy home products. Seek out a professional like Tamlin to consult with. Drop by our office or arrange for a phone meeting for a Free initial consultation!